This exquisite 37 meter custom luxury superyacht was designed and built by the Marine Engineer / Naval Architect owner for the personal use of him and his family. It is the epitome of gracious luxury and shows like new, with only approximately 700 hours on the MTU 2000 hp engines.All of the five en-suite staterooms are spacious, exquisitely appointed and just simply stunning.Fitted with the finest hardwoods, fabrics, tiles, and marble, there is simply no other vessel on the market to compare at this price. 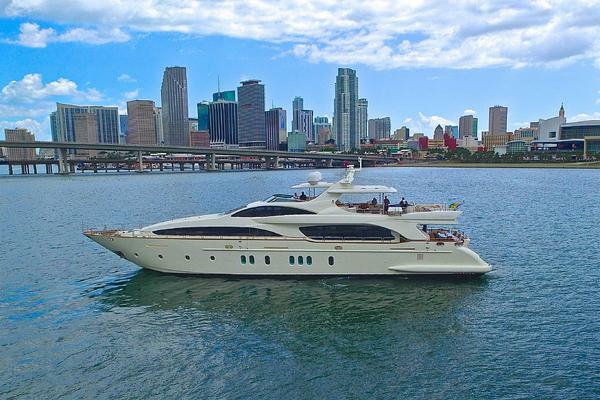 United Yacht Sales New Jersey would love to guide you through a personal showing of this 121' Custom M/y Luxury Fb Yacht 2008. This yacht for sale is located in Athens Greece and priced at $6,250,000. For a showing please contact us by filling out the form on this page and we will get back to you shortly! 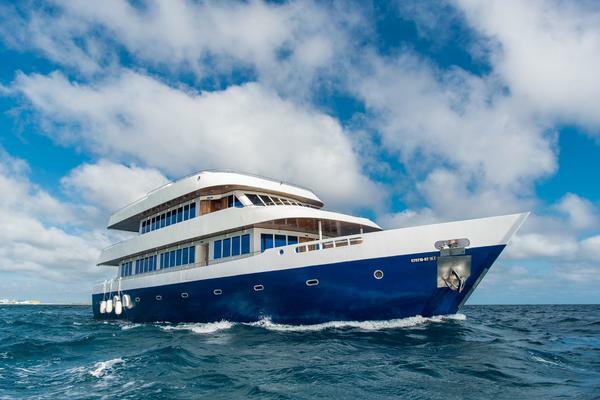 The boat is arranged with a full-beam, midship master stateroom on the lower deck. There are three further en-suite staterooms on this deck. There is a full beam bridge deck VIP stateroom that includes a study and a lovely and cozy private lounge area. This VIP cabin could alternatively serve without compromise as a master stateroom or if you don’t need five staterooms, could be converted into a fabulous lounge, positioned as it is, between the bridge and the sun deck.There are crew accommodations for 7-8 in 3 cabins, including the bridge deck captain’s cabin.Please contact the broker for hi-resolution GA drawing, along with a link to the extensive image library. The salon, like most of the interior living space is finished in high-gloss cherry, exquisite neutral tone leather, white carpeting and polished stainless. The salon is without compromise, simply stunning.With a 12 seat dining table, a beautiful wet bar and comfortable seating for dozens, The salon greets your guests in the most gracious style. Spacious, yet warm and inviting, it sets the stage for a cruise or a dockside evening that your guests will not soon forget. When you step aboard, you instantly recognize the pedigree of this exquisite yacht. It is distinguished and well-founded, with luxurious details throughout. It would serve capably as a luxury family yacht and could be a popular platform for discerning charter guests.Call or email broker today for a link to our extensive library of photos. Walk-through videos forthcoming.Contact broker for suggestions regarding charter income and market positioning.